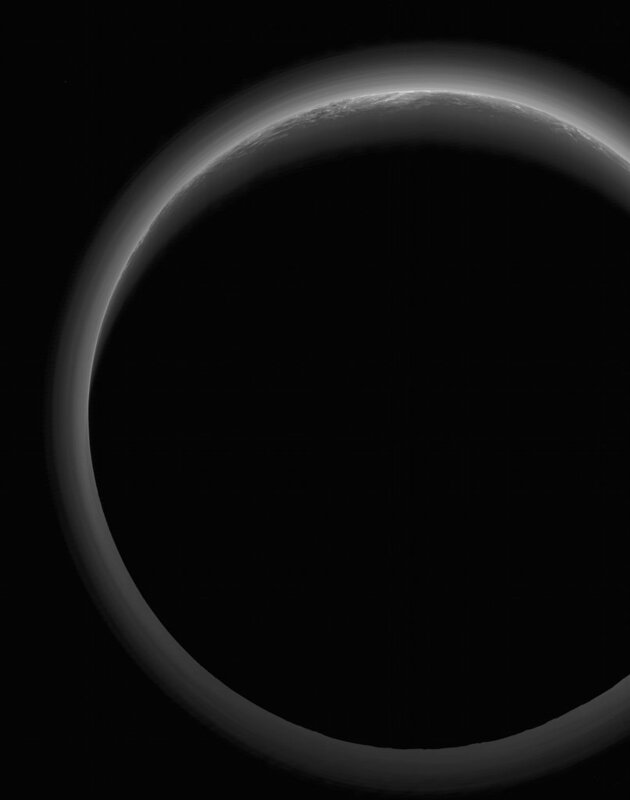 Explanation: The night side of Pluto spans this shadowy scene. The spacebased view with the Sun behind the distant world was captured by New Horizons last July. The spacecraft was at a range of over 21,000 kilometres, about 19 minutes after its closest approach. 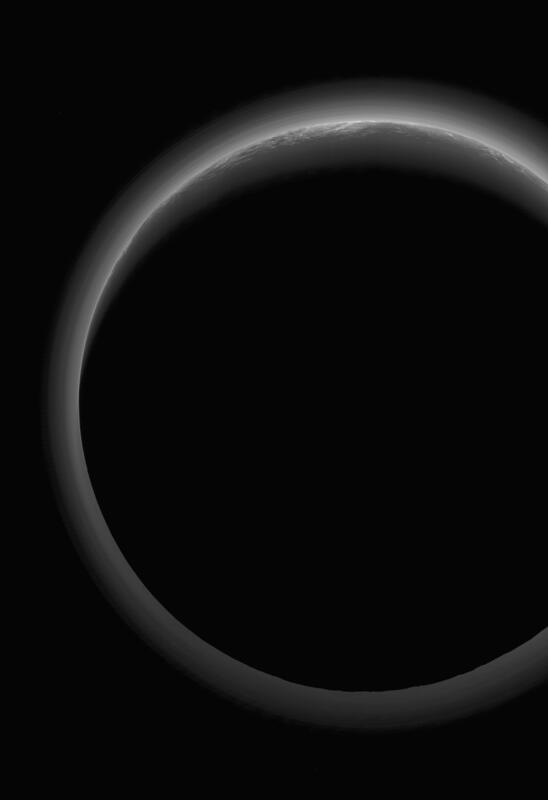 A denizen of the Kuiper Belt in dramatic silhouette, the image also reveals Pluto's tenuous, surprisingly complex layers of hazy atmosphere. The crescent twilight landscape near the top of the frame includes southern areas of nitrogen ice plains informally known as Sputnik Planum and rugged mountains of water-ice in the Norgay Montes.